sewing in the past: scarf model...how appropriate. 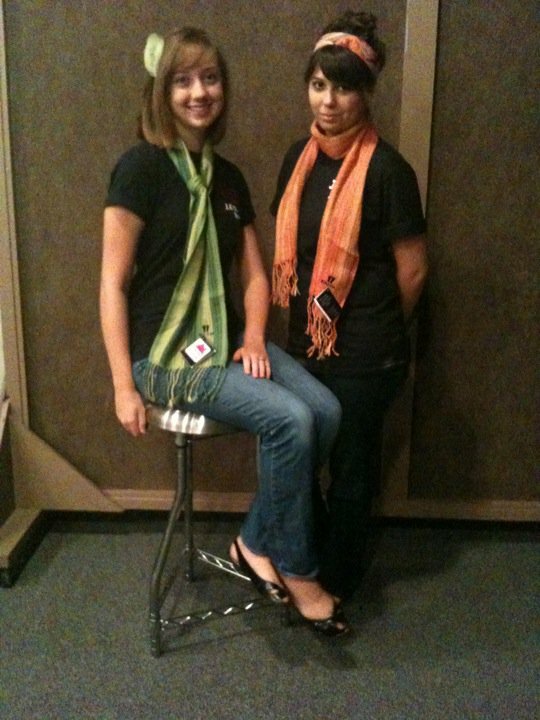 morgan and i got to model some scarves my mom was selling. wool alpaca (and so colorful too!). to help support a pregnancy center in bolivia. isn't that the best idea?